THE benefit of hindsight has allowed Redbook to hone Skoda's three-year retained value ratings from the highs of when the brand returned to Oz, to more believable numbers. Back then, Skodas were a Gold Star sure-thing. 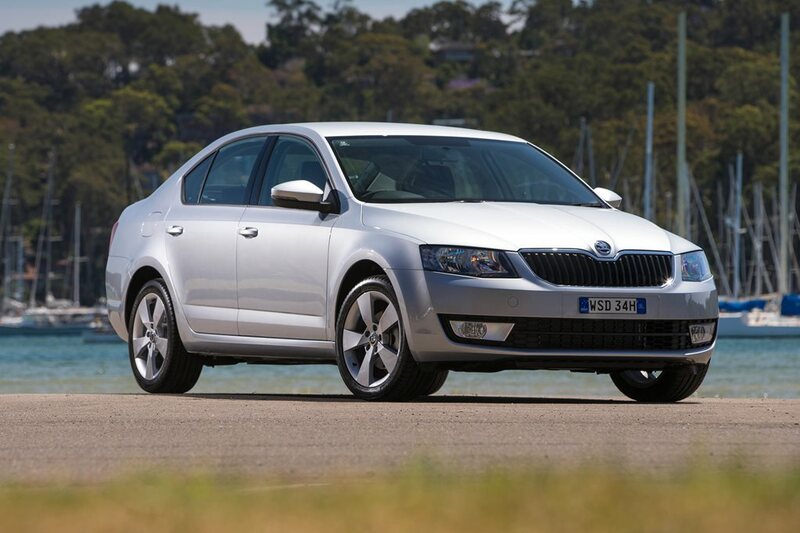 turbo-petrol Octavia remains in the frame for budget-conscious buyers. The mid-sizer’s affordable $21,690 purchase price and decent 60 percent resale still make it among the best cars considered in class in terms of depreciation, while a frugal 5.7L/100km economy rating makes it equally competitive in the fuel-cost discipline. Importantly, the efficiency doesn’t come at the cost of driver appeal. The boosted Volkswagen Group four is sweet and flexible, though it does insist that the tank is filled with pricier premium 95 RON. In the Ambition, you miss out on the better-sorted ride and sharper dynamics found up-spec in the IRS-equipped Elegance and RS, but they are priced $10K-15K more. So in terms of the numbers – and the sheer amount of car you get for the money in terms of cabin and cargo space – the entry-level Octavia is a winner. IF ITS dynamics were as sharp as its looks, Kia’s Optima would be a mid-size revelation. Thankfully, the value equation is up there with its styling. Kia’s strong warranty and long service interval help it secure silver, as does solid resale. THE base Jetta is not as well equipped as an Octavia, and the mid-size VW’s vital stats tend to support this value judgement. Still, having beaten 10 of 13 cars considered in its class, it remains a ripper buy.